The National Air Duct Cleaners Association recommends that your air ducts should be cleaned every 3-5 years because of the filth that builds up, as most homeowners are aware of. A number of other airborne particles are usually found layering up on the inside of the air ducts including pollen, insect corpse fragments, dust, dirt, pet dander, fur, shed dead skin cells and hair for instance. The air quality takes a dive with these contaminants, leaving people susceptible to asthma attacks and allergic reactions to manifest their symptoms longer, and more regularly. 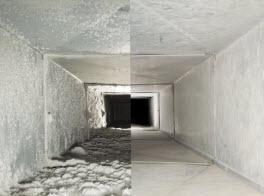 Even if you had recently had your air ducts cleaned, or it has been awhile following the conclusion a construction project, you should clean the air ducts. Today, we at Sterling Environmental Air Duct Cleaning would like to further elaborate on why getting the ducts cleaned after a renovation is important. 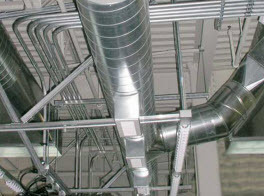 Metal shavings & brown flakes in air ducts: Fine metal shaving, lead particles, and other relate debris can be caught into the air stream and cycle through the ducts, leaving deposits behind as it travels. These shavings in the ducts will have you breathing them in until they are cleaned. With long term exposure, lead especially, can have serious health risks. Sawdust & construction debris in air ducts: Produced in massive quantities during a home remodel, sawdust is another major contributor to getting into the ducts. These particles are fairly large when compared to dust, and really quickly, the saw dust that continuously is being circulated back in the air you breathe. As a result, the sawdust restricts breathing and cause respiratory problems. 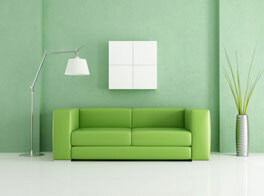 Drywall dust in air ducts: During the manufacturing process, drywall collects a lot of chemicals. 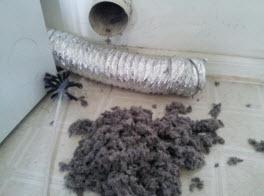 The dust is released and then, it infects the air and effects the air ducts each time the drywall is cut. Increased dirt and dust in air ducts: More dust floats around the home during a remodeling project than any other time. A lot of dirt is exposed to the air from getting the floors ripped out, the cabinets removed, tearing down walls, or even the contractors kicking up the dirt with the foot traffic and constant inside and outside activities. The extra volume of dirt can be sucked in the system, creating more dirt to accumulate in the ducts when you operate the HAVC system works to heat or cool your home during renovations. Simply because the air the unit is pulling in is dirtier, the air ducts get filthier, quicker and all the dirt and dust can then get trapped in your ducts. Potential mold growth in air ducts: It is not uncommon for mold to be discovered during a home remodeling project. If the mild spores are disrupted, they can easily waft into the air ducts where it can thrive. Bringing on allergies and ailments, mold exposure can be detrimental to your health. With the completion of your construction project, you want to get the air ducts cleaned with Sterling Environmental Air Duct Cleaning. Using specialized equipment, customized for the task to ensure the air ducts are thoroughly and efficiently cleaned, our professionals remove all of the hazards the construction project conjured into your air ducts. Call us today to get started!